Hide Away on a Tropical Island Paradise! The Republic of Vanuatu is a chain of 83 tropical islands in the South West Pacific, only a 2.5 to 3.5 hour flight from the east coast of Australia. It is an idyllic holiday destination for scuba divers interested in Vanuatu diving, as well as travellers seeking a little adventure in paradise, and offers visitors a wide diversity of experiences. Hideaway Island Resort and Marine Sanctuary is situated on its’ own private island, just a 5 minute ferry ride from the mainland and 15 minutes from Port Vila. Surrounded by the crystal clear waters of Mele Bay and live coral reefs supporting a diversity of prolific marine life, Hideaway Island has been declared a protected marine sanctuary. Diving:Hideaway Island is one of the most popular diving areas in Vanuatu and one of only a few resorts in the world, to have its’ own marine sanctuary on the doorstep. The reef in front of the resort is teeming with brilliantly coloured fish and marine life and can be explored by snorkelling or diving straight from the shore. The diving features a variety of colourful sponges, hard corals, sea anemones, gorgonian fans and an amazing number of tropical fish. The resort’s independent PADI dive operation is staffed by professional instructors and dive guides and offers a complete range of dive courses as well as shore dives, boat dives and gear hire. Hideaway Resort also boasts the world’s first authentic, underwater post- office, sitting at a depth of 3 metres. Visitors can dive or snorkel down to post their specially waterproofed postcards to friends and family back home. The famous – Underwater Post Office! 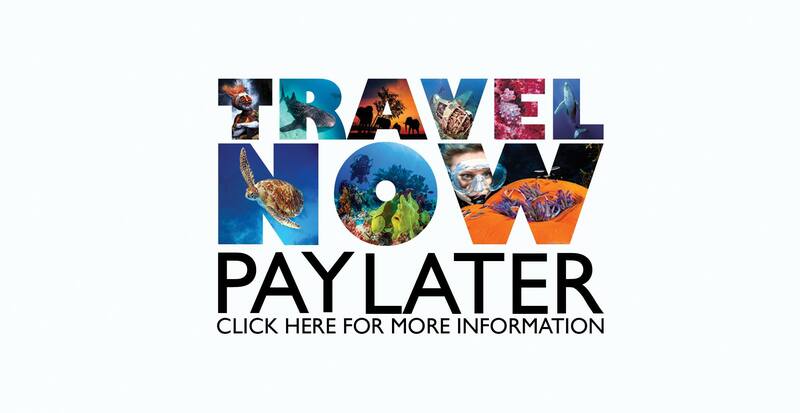 Check out delayed payment options with Dive Adventures! Option to add 4 dives with Big Blue Vanuatu – other local tours also can be chosen – or you can simply relax and enjoy the serenity! The package is currently based on a group airfare. Prices are subject to change due to 2019 rate increases and fluctuations in exchange rates without notice.